Publishing giants Pan Macmillan appointed Howes Etc to handle the publicity campaign for the autobiography of Barrie McDermott, the Great Britain and Leeds Rhinos prop forward. The life story of the ex-Oldham and Wigan front row man was launched in the autumn of 2004 to coincide with the Tetley’s Grand Final and the Gillette Tri-Nations tournament. 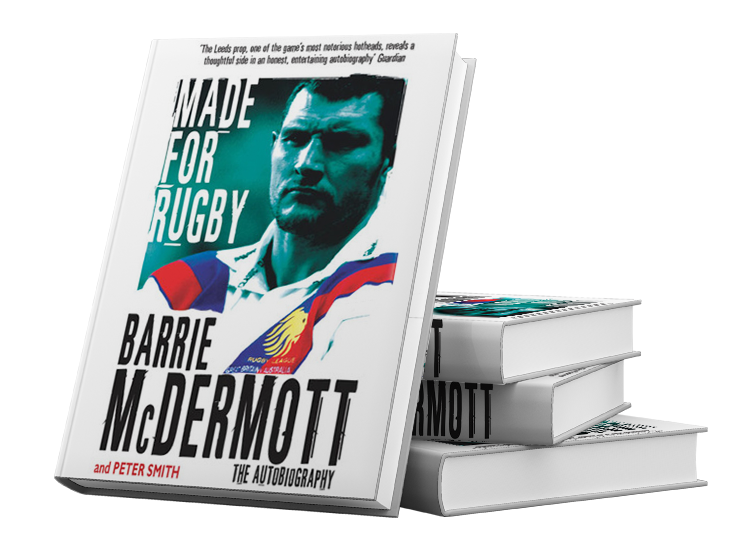 Written in conjunction with Peter Smith, Rugby League correspondent for The Yorkshire Evening Post, the book includes the first-ever telling of how Barrie lost his eye before concentrating on the 13-a-side code as a full-time career. By the end of 2004, the book had become a Rugby League best seller, with a second reprint taking publication to above 10,000 copies. Please email david@howesetc.co.uk or fill out our contact form.